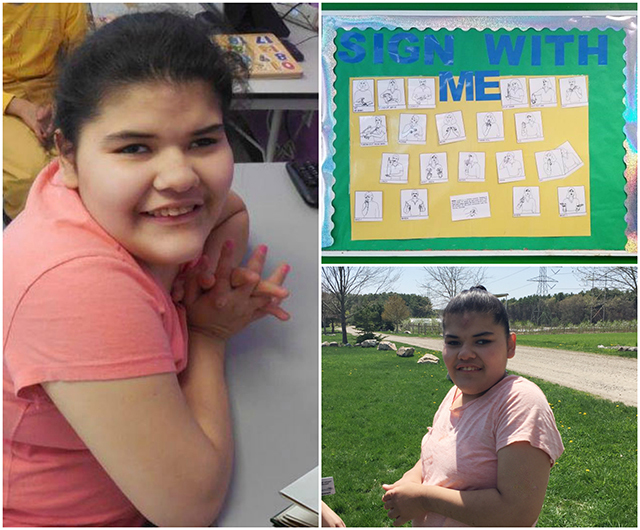 Judge Rotenberg Center - We would like to recognize Janelle as our Academic Student of the Week! Janelle has been working hard on completing her academic tasks in the classroom as well as in speech! She has required minimal assistance in order to use her AAC device to communicate her wants and needs. Even when she has earned a break, she requests to complete more tasks. Recently, a new bulletin board was put up in her classroom, as she is encouraging more staff to learn ASL and sign with her! Congratulations, Janelle! « Jacob strikes a pose with Mrs. Roche!